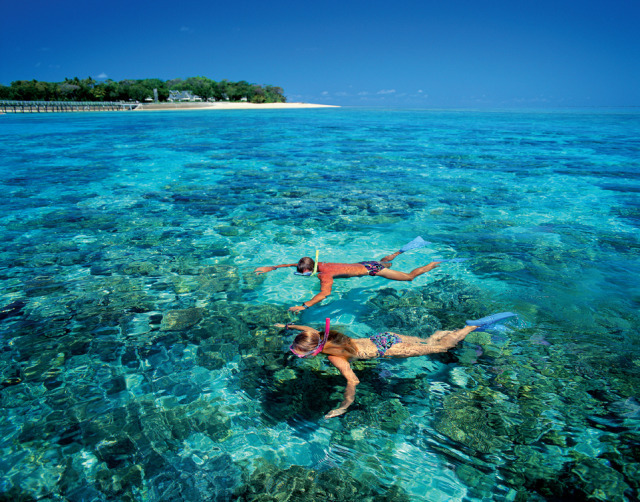 3 NIGHT CAIRNS SCENIC ESCAPE offers a complete City, Reef and Rainforest experience. 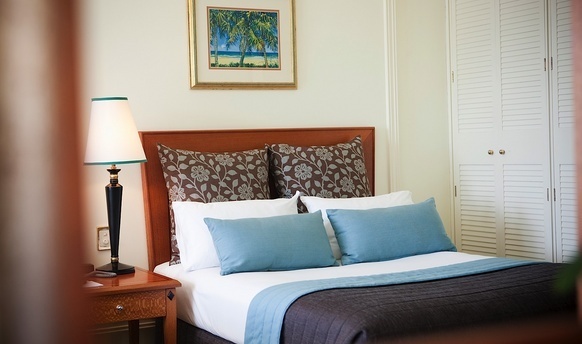 Harbour View Rooms: Wake up in the morning to stunning views over Cairns Harbour and Trinity Inlet with our spacious Harbour View rooms. City/Moutain View Rooms: Soak up a tropical sunset over the City and Mountains. 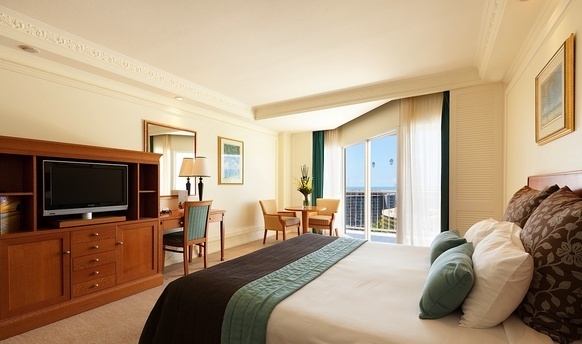 Pullman Cairns International is a beautiful 5-star heritage-style hotel, located right in the heart of the Cairns CBD. 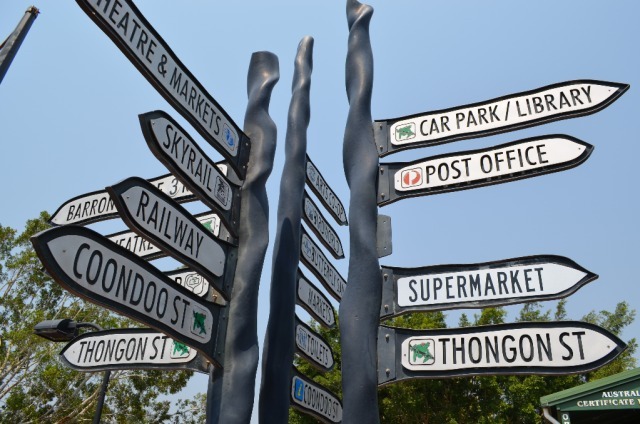 A tropical city with landscaped gardens, great shopping and restaurants as well as an esplanade promenade perfect for a walk or jog. 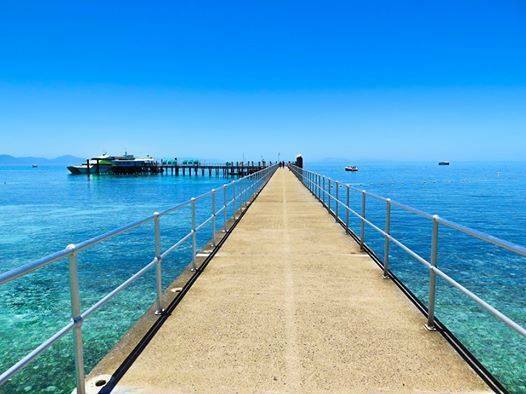 Tropical paradise is at your front door - great Cairns shopping and services are just a stroll. 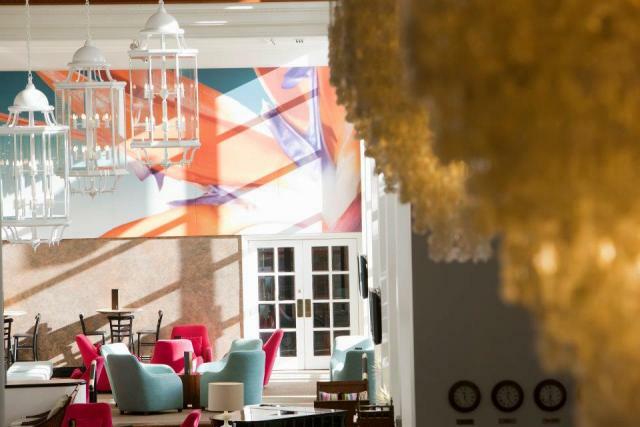 Be impressed with the Raffles style colonial architecture that captures the unique heritage and mood of the tropics. 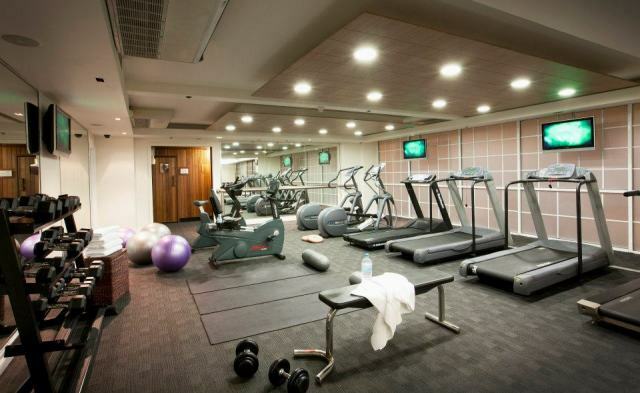 Gymnasium: Features a full complement of cardio and weights equipment, plus water fountain, televisions and two saunas. Open 24/7 for your convenience. Breakfast: 6.00am – 10.00am Breakfast options include a-la-carte or buffet. Breakfast buffet includes an egg station with a chef preparing fresh eggs to your liking and espresso coffee. Interconnecting Rooms are available on all room types. 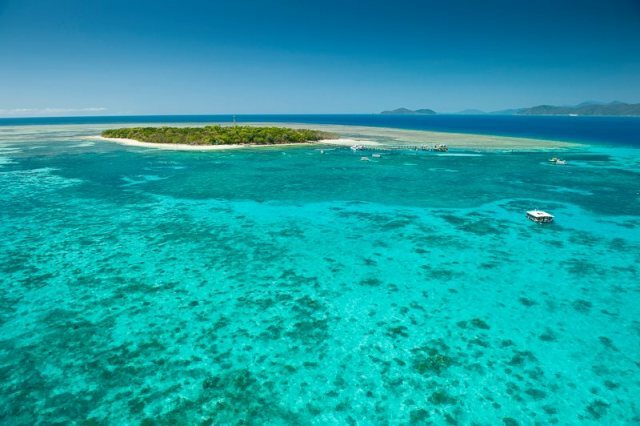 Tropical & enchanting Green Island is a beautiful Coral Cay located just 1 hour off the coast of Cairns. 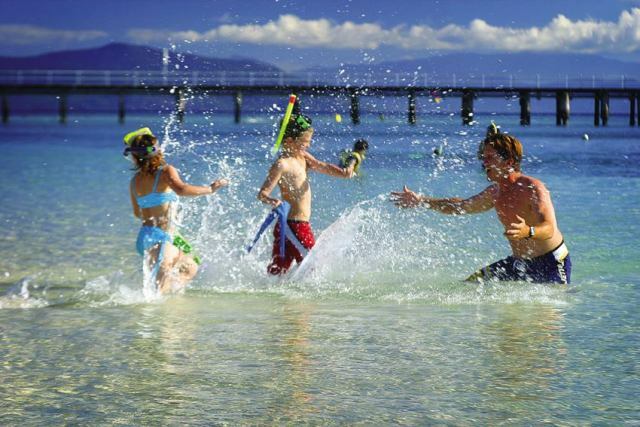 Covered in Tropical Rainforest, surrounded by sandy white beaches and beautiful Coral Reefs, makes Green Island the ideal place to snorkel, swim or simply relax. Explorer the underwater world of the Great Barrier Reef in air-conditioned comfort on our Semi-Submersible… without even getting wet! 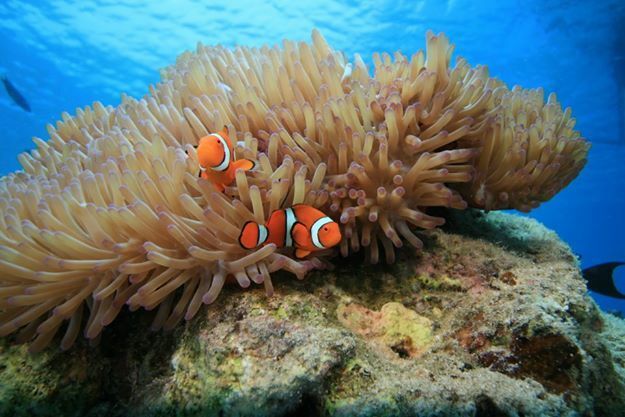 Seated below water level, passengers are treated to a divers view of the coral reef and marine life with informative commentary by the crew and see the lively fish feeding. This vessel seats 27 passengers and cruises for 30 minutes. Seawalker at Green Island is quick, easy, and is perfect for non-swimmers or anyone else who might not be confident in water! It’s quick – 45 to 60 minutes from start of guest briefing until finished and back on dry land. It’s easy – no new skills to learn, no swimming, no equipment to manipulate or get in the way. It’s safe – our guides are always in the water beside you to ensure you or anyone else who is not confident. It’s low stress – no complicated equipment to use, no water on your face (you can wear glasses or contacts), your makeup stays on and your hair stays dry! 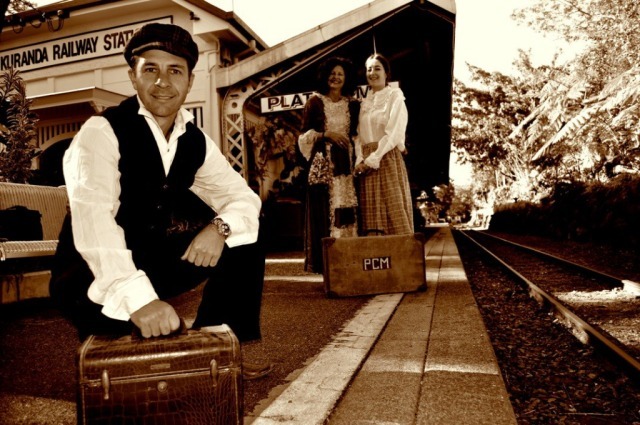 4:30pm Return coach transfers to Pullman Cairns International. 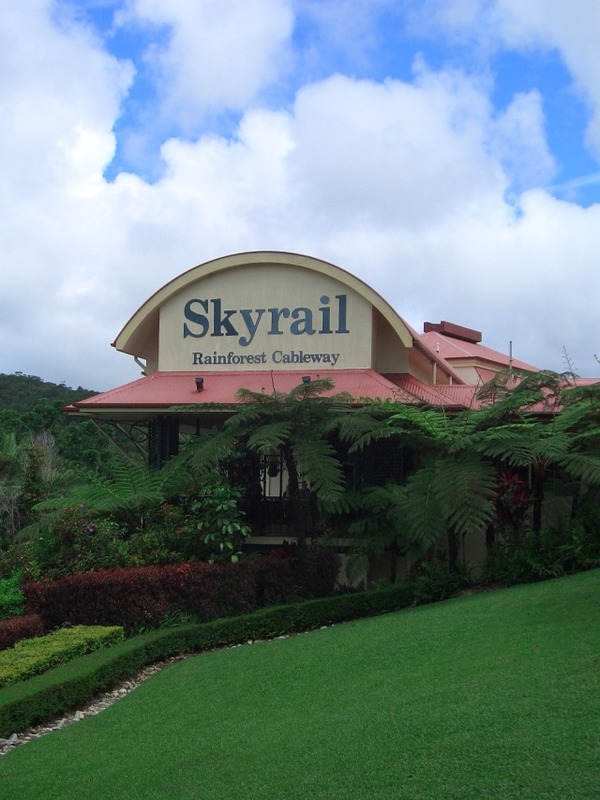 Travel to Kuranda, the 'Village in the Rainforest' on board the heritage Kuranda Scenic Railway and Skyrail. 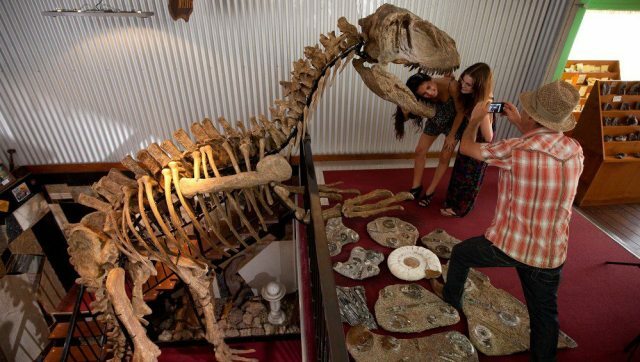 Enjoy free time in Kuranda to wander through the Kuranda Markets and indulge in the alternative lifestyle that Kuranda provides. 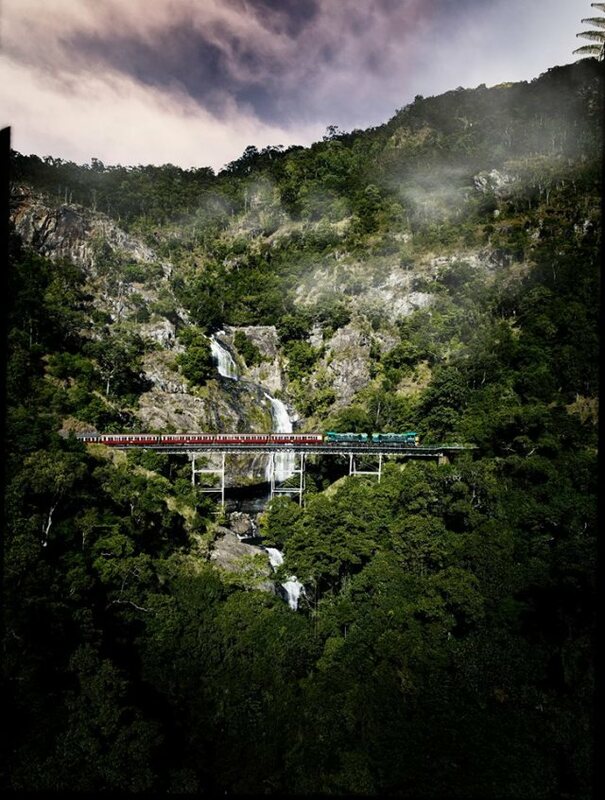 Kuranda Scenic Railway: Relax and take in this magnificent journey, passing Stoney Creek and Barron Falls. 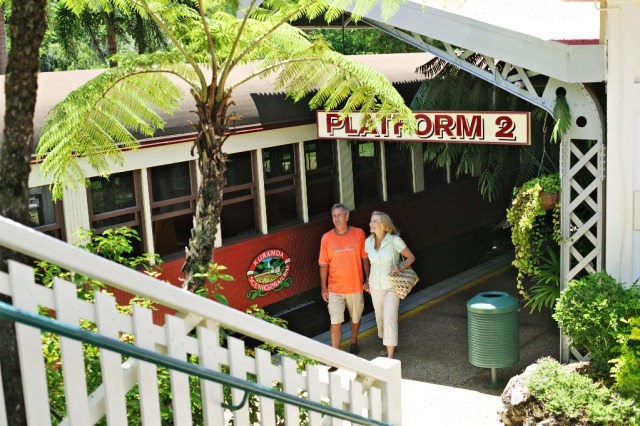 The famous Kuranda Scenic Railway was built over 100 years ago and winds its way through tunnels, over bridges and over tropical mountain ranges between Cairns and Kuranda. 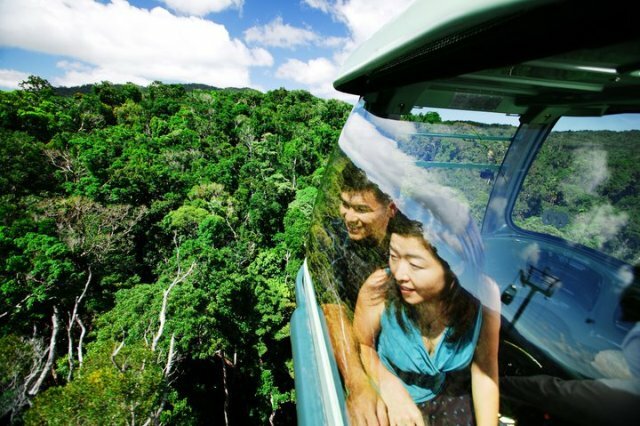 Kuranda Village: Wander through the picturesque Village in the Rainforest. 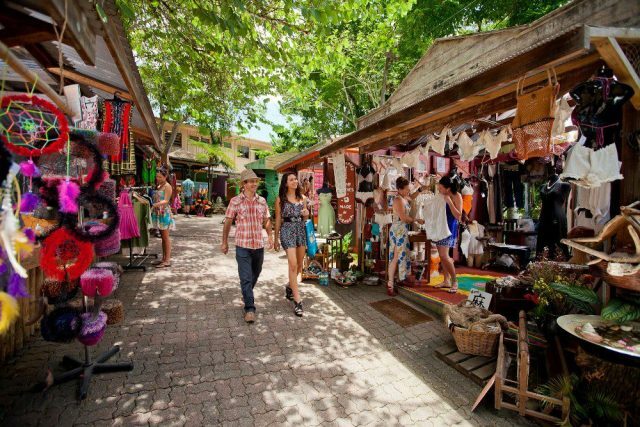 Browse the Kuranda Markets which operate Daily. 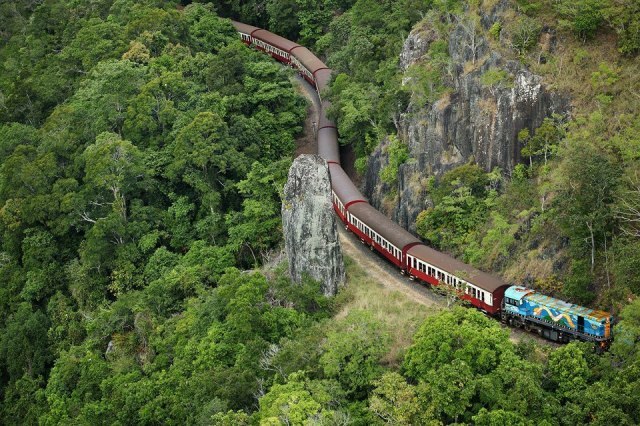 Gold Class Train: Experience another level of comfort on the Kuranda Scenic Rail. Your upgrade includes drinks, nibbles, individual seating and larger picture windows. 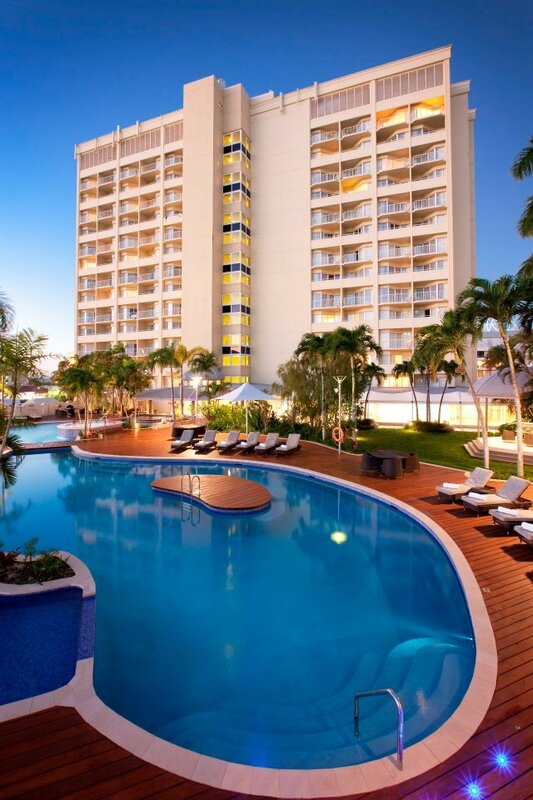 If you would like to extend your stay at Pullman Cairns International we can amend your package accordingly when booking. This package does include breakfast daily. This package does not include airport transfers. 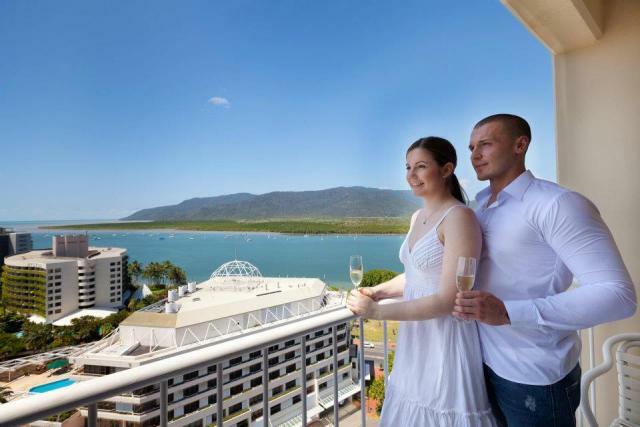 A taxi is the most convenient way to transfer from the Cairns Airport to the Pullman Cairns International. This taxi fare is approximately $25. Green Island was beautiful but over crowded. Definite recommend for families. 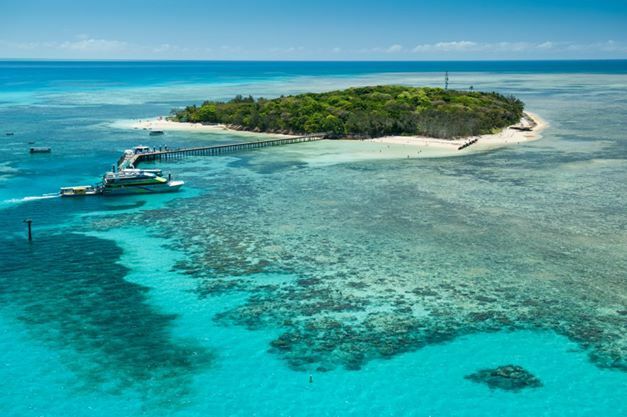 Our group of eight people had a fantastic time on Green Island, and the whole experience from booking to enjoying our day went extremely smoothly. Great value for money! Enjoyed our trip to Green Island. Perfect little spot for the kids to play. Mostly helpful, especially when one of our kids was sea sick. Have travelled extensively both on business and pleasure, and have never had a better breakfast than that at the Pullman. Within in minutes of the phone call, I received the quotation and booked online. The process was simple and effective and enabled us to focus on the holiday rather than the logistics and bookings! Great work and it was sincerely appreciated. I wish the sub ride was offered at different time, I could not experience it because my helicopter trip was at the same time.